We are the leading exporter and supplier of Male Health, Hair Loss Traetment. These are manufactured using high class raw material, which is procured from certified vendors. Our range of product includes Fenered 1mg, Fenered 5mg etc. Fenered 1/5mg (Finasteride) is the first and only FDA approved pill proven to treat male pattern hair loss on the vertex (top of head) and anterior mid-scalp area in men. 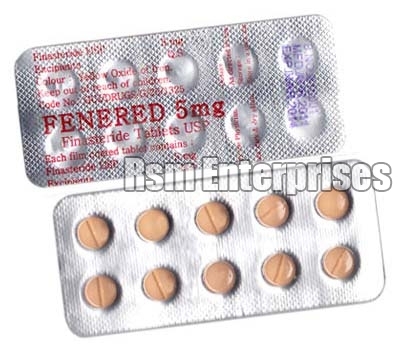 Studies show that 80% of men experience improvement when taking Fenered 1mg.